Hi Barbara. Like you, I’m trying to eat healthy. I have decided to give up sugar. Applesauce muffins and cake are my favorite things. That said, can I use Splenda in place of the brown sugar? I think Splenda sells a brown sugar baking blend that would probably work, but I don’t have much experience baking with artificial sweeteners. Thanks for the question. 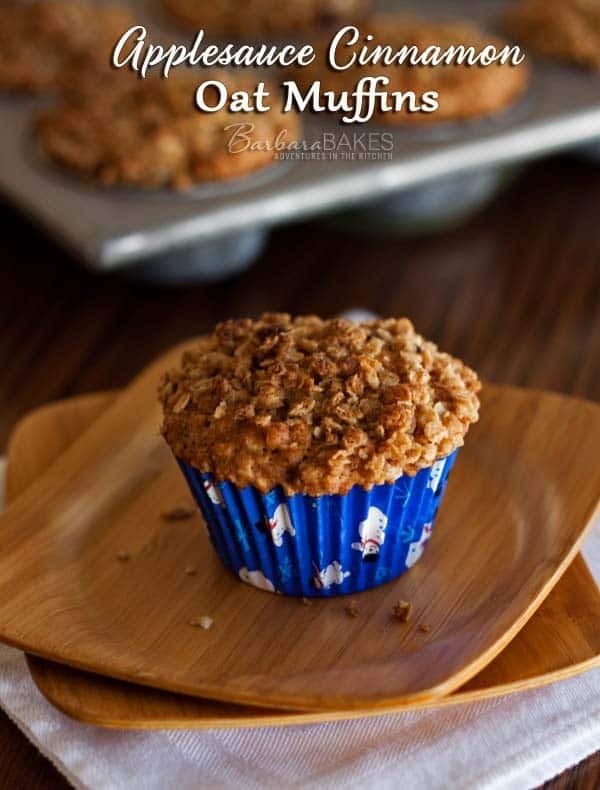 I love the oat topping on top of these muffins! I do love a good muffin! Thanks for this awesome recipe. Healthy and delicious, look great for breakfast! 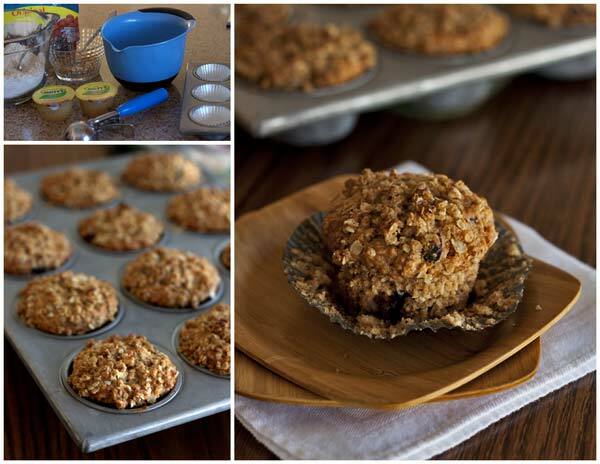 I love the flavors in these muffins… so perfect and they must be wonderful right out of the oven! I always make more applesauce than we end up eating and what a great way to use it. These look delicious. I love the combo of flavours. 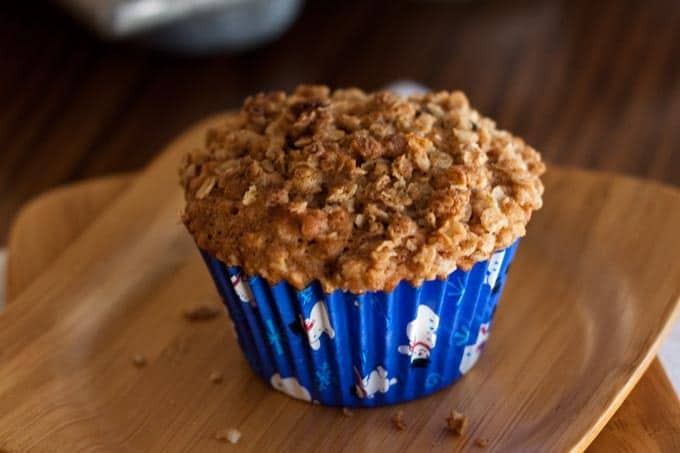 These muffins are not only delicious also very healthy. These sound wonderful Barbara. I might have to whip some up tomorrow! I love finding yummy treats that are on the healthier side. I crave stuff like this for breakfast, but try not to indulge too much so this is perfect! Yum Barbara! Using oats in place of a portion of flour is my go to way to health-ify muffins. These look delicious! Yes – thanks for the heads up. All fixed. Lovely! A great combination of flavors and ingrdients. Perfect! You know, it was fun eating all those treats but I’m ready to start enjoying healthy stuff again. These muffins fit right into that plan. They look delicious. Wow, thanks Barbara! I have some craisins and applesauce that need to be used up and this is the perfect recipe! I plan to bake them tonight and bring them into the office tomorrow. Thanks again for your wonderful blog and happy baking in 2014! Thanks Vickie! I hope everyone enjoys them. I think the topping really makes them something special. I baked them last night and they came out great!